The concept of marketing is inherently simple – business success via a process of understanding and meeting customer needs. Few would argue with this basic principle, and even the most inexperienced of business managers would intuitively see the sense in this. Given this basic simplicity, why do we need something as complicated, and time consuming, as a marketing strategy? While basic business principles may be simple common sense, achievement involves many complex, interdependent or even conflicting tasks. Increasingly, such tasks are undertaken against a backdrop of constant change, intense competition and limited resources. To further enhance the challenge, managers are often at the mercy of incomplete data and unexpected events, often being left to ‘second guess’ customer and competitor reactions. 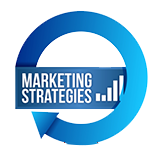 It is to this end that marketing strategy has become a vital component of success. A well-considered, effectively implemented, marketing strategy should go some way to alleviating such problems and reduce the complexity of business tasks. Strategy should restore simplicity to the art of management. In essence, it is a series of tools and techniques that guide (hopefully) the organization to the marketing panacea – success via a process of understanding and meeting customer needs. The modern business world now recognizes the importance of strategic issues and the contribution of strategic management to business success. While this has many benefits it also brings many problems. It could be argued that‘strategy’ (or ‘strategic’) is the most overused/misused phrase in business today. Everybody seems to have a ‘strategy’ for everything. By attaching the term ‘strategy’ to an activity, it somehow becomes more important – more grand– but in reality very little actually gets done! To illustrate this, the authors recall he recent experience of sitting through a seemingly endless meeting, listening to people talk on and on about their ‘strategy’ or the need for a strategic view. Finally, someone said something sensible: ‘. . . there’s too much strategy and not enough people doing things!’This blunt comment is memorable for two reasons. Firstly, it ended a tedious meeting. Secondly, and more importantly, it illustrated a key point: strategy must lead to action, not be a substitute for it. Ultimately, all organizations need‘. . . people doing things’. The goal of strategy is to ensure they are doing the right things. These actions need to be coordinated, efficiently executed and focused on meeting customer need. Essentially, strategy is a three - stage process involving analysis, formulation and implementation. During the analysis phase management needs to look both internally and externally. Understanding the wider business environment is fundamental. It is then necessary to formulate plans appropriate to current and future circumstances. Finally, implementation is needed to make sure our plans are put into practice. Managers must ensure that due care and attention is paid to each of these stages. In this way, strategy avoids being little more than rhetoric and starts to become a practical reality of business life. What Is Strategic Alignment Of Assets And Competencies? How To Structure Strategic Alignment Of Assets And Competencies? Marketing Plans – Strategy Or Tactics? What Makes An Effective Control System?